for Americans living abroad, foreign nationals and those who have recently repatriated to the US. Unfortunately, the US is one of a few countries that taxes its citizens on worldwide income, regardless of where you live. We specialize in Federal Tax Return Preparation for Americans living abroad, foreign nationals and those who have recently repatriated to the US. Are you moving or living overseas? Is this a permanent or temporary move? Do you understand your tax obligations? Unfortunately, the US is one of a few countries that taxes its citizens on worldwide income, regardless of where you live.  Don’t expect to avoid US tax filing or avoid US tax obligations by moving overseas. In fact, in most cases, your tax filing will become more complex and include financial disclosure reports to both the IRS and the Department of Treasury. The US has tax treaties with many countries that require those countries to enforce US law. The reach of US law is broad, and failure to be compliant with US tax law can complicate passport renewals and other interactions with the US government. Additionally, If you are not current with your tax filings, you will not be able to give up your US Citizenship. At Williams & Parsons CPAs, our team of expat tax specialists is here to ensure our clients receive the best possible tax outcomes. With decades of experience, we have the tools and know-how to help you navigate this complex and changing landscape of expatriate tax. The US has tax treaties with many foreign countries where the IRS and the foreign tax agencies exchange tax data. With the advent of FATCA (Foreign Account Tax Compliance Act), the reach of information sharing is even greater. Many think because they’re earning money in another country – and paying that country’s taxes – they are not required to file US tax returns. That is not the case. Expats must still file a tax return with the US every year. If you don’t file your US tax return, the statute of limitations will not start to run out, and your obligation to file your tax return – and perhaps the taxes you owe – will only grow as the years pass. The US system does require US Persons to file US returns each year. The US system is also designed with a number of features that minimize the bite of US tax on expat income. At Williams & Parsons we understand these systems and use every deduction and exclusion. The intent of US law is to avoid double-taxation of the same income. Both the Foreign Earned Income Exclusion and Foreign Tax Credit are ways to mitigate how much you will be paying in US tax. With proper use of these available deductions and credits, most of our clients who live in countries that have taxing regimes similar to the US (such as Canada, most European countries, China and Japan) end up paying $0 in US income tax. The Foreign earned income exclusion (FEIE) allows expatriates to exclude a portion of their earned income from US income tax which can lead to substantial tax savings. In 2016 the FEIE had a maximum exclusion of $101,300. Let’s consider the following example: You are living abroad and earn an income of $150,000. You choose to file IRS form 2555 taking advantage of the foreign earned income exclusion. You will be paying taxes on $150,000 – $101,300 = $48,700. Due to the “stacking rule” you will be paying US taxes on the remaining balance at the same rate as someone making $150,000 instead of someone who only makes $48,700. In this example, using the Foreign Tax Credit (explained below) would be a better option. It is important to keep in mind that that this exclusion only applies to earned income. Other income from investments, dividends, capital gains, etc. will not be excluded using the FEIE. The Foreign Tax Credit is another way to avoid double taxation on income earned abroad. This credit allows expatriates to subtract the income tax they pay to foreign countries from what they owe to the IRS. This credit does not apply to income that has already been excluded using the FEIE. Depending on your residency status, length of time abroad, tax bracket and filing status, there is a wide variety of tax scenarios that can occur. In some cases, you may be better off using only the FTC or the FEIE and in others, utilizing both the FTC and FEIE can provide the most savings. Knowing what forms to file in which situation can make all the difference for achieving the best tax outcome. Both the FEIE and the Foreign Tax Credit are great tools for reducing your bill to the IRS. However, each tax situation is different and there are many tips & tricks that we at Williams & Parsons have picked up over the years to help optimize your personal financial situation. If you’re an employee of a foreign company (which could be your own foreign corporation) and pay payroll taxes to that country, you do not have to also pay US social security tax. However, if you are self-employed, then you must file a Schedule C with your US tax return and pay the appropriate US payroll taxes on your net earnings. The self-employment tax rate is 15.3% and since the self-employment tax is separate from income tax, the foreign income exclusion does not reduce this tax. Like tax treaties that address double taxation, The US has entered into Totalization Agreements with 25 countries. A totalization agreement’s primary purpose is to avoid double taxation of social security type taxes. In addition to defining which country hs the right to collect social security taxes, a Totalization Agreement will coordinate which country has the obligation to pay social security benefits. Williams & Parsons can assist our clients in this complex and changing area of tax law that can have material impacts to our clients working overseas. If you don’t file a US return for any tax year (whether a return is required or not), the statute of limitations on tax assessments for that year will never start to run – meaning the IRS can go back to any tax year they want to review. The IRS may question your failure to file returns at any time and can make assessments based on their estimate of your income. The interest and penalties on any old tax amounts owed grows quickly. The IRS failure to pay and failure to file penalty is 5% of the unpaid tax per month, for a maximum of 50% per year. If you do file your tax return each tax year, the statute of limitations (in most situations) will expire three years after you file the returns. That means the IRS can’t go back (absent fraud) and audit or change those returns later. US Persons must file their US tax returns annually. However as we have discussed, the impact of the Foreign Earned Income Exclusion and the Foreign tax Credits often reduce the US tax owed to near zero. The US also imposes certain requirements for “informational returns” which must also be filed with your income tax return. These rules and penalties were really not designed to hinder and hurt expats; they were originally designed to go after money laundering and organized crime. However, the disclosure rules apply to all US Persons . Failure to file these disclosure forms can have severe penalties. All of the returns described below have large penalties for failure to file the forms, even if no tax is due. The penalties for failure to file an informational return will usually be far greater than the penalty for failing to file your US Income Tax Returns. If you have signature authority on a foreign financial account(s), and if the balance in the foreign account(s) is at any point during the year greater than $10,000, then you are required to file a Foreign Bank Account Reporting form (FBAR form 114). That requirement is based on either one or multiple accounts—if the total in your bank accounts ever exceeds $10,000, even for only a day, you must file. If you fail to file these forms the potential penalties are huge. Now with the advent of FATCA (Foreign Account Taxpayer Compliance Act), the US Treasury is receiving data from foreign banks in over 80 countries regarding accounts owned by US persons. FATCA makes it even more imperative that US citizens stay current on their reporting. If you own more than a 10% ownership interest in a foreign corporation you are required to file form 5471 reporting that interest. In many cases, if that foreign corporation is making profits, it will be a “controlled foreign corporation” and you may also owe US tax on its earnings. If you are the beneficiary or trustee of a foreign trust you must file form 3520 with the IRS. If you are a partner in a foreign partnership you must file form 8865. Tax law also now requires you to report all foreign financial assets on form 8938 if the total foreign financial assets exceed certain thresholds; the thresholds vary by filing status. This can lead to confusion as the same assets are required to be disclosed on multiple forms in the same tax year. It is imperative that these forms be filled out accurately for you to receive the best tax outcome. If you are abroad on April 15th of any year, you receive an automatic extension to file your tax return until June 15th. If you need more time, you can file an extension request which will extend the due date until October 15th. Starting with the 2016 tax year, you can now extend the FBAR reports to Mid-October, prior to the 2016 tax year, these reports were due on June 30th.